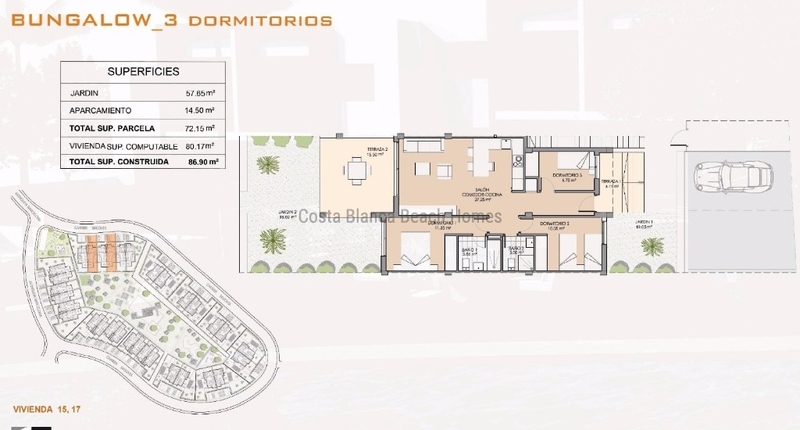 New project just 4 km from Benidorm, in Finestrat consisting of 52 properties: ground floor 2 and 3 bedrooms flats, flats with top roof terrace, detached-houses with private pool. 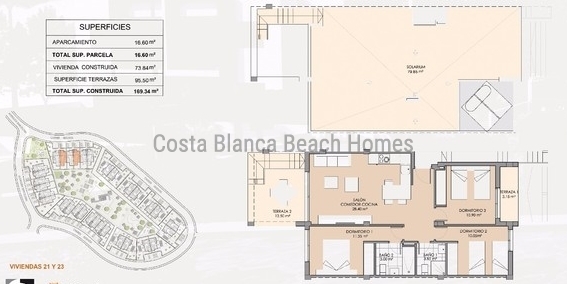 These nice properties are built with the latest technologies and high quality materials, panoramic windows with electric shutters, solar panels, underfloor heating in bathrooms, pre-installation of air conditioning, appliances, lighting and parking space. 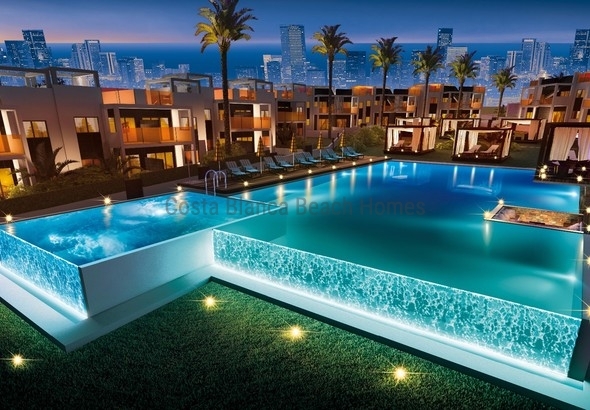 Residencial complex with 2 large pools, jacuzzi with a bridge, a pool bar with opened views to Benidorm city, gymnasium with sauna, children's pool and a large natural grass area with more than 100 palm trees and a children's area. Prices from 169.000€ 2 bedrooms and from 190.000€ 3 bedrooms.